Jumping Back On The Bike: Remembering how to write the perfect blog post! Anyone else around here a workaholic? I am guilty. 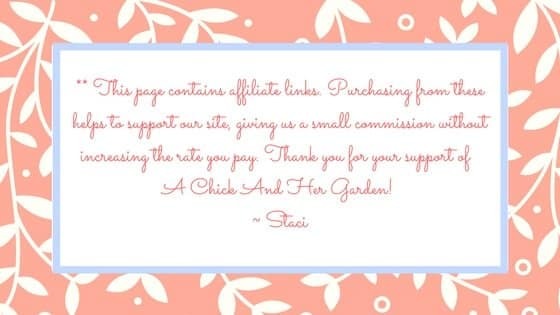 I spend my week running a daycare in my home, homesteading with chickens and a garden, taking care of our home and pets, and putting full time hours into the blog. But I am proud to say that I only worked from 5 am (my normal wake up time is 4:30, I slept in!) until everyone else was awake, and I did so with a cup of coffee on the deck over looking water! Baby steps right? Wrong, it took 4 days! 4 DAYS!!!! I think I was close to a withdrawal! Now, I’m not saying that’s the case for everyone. Not even close. Most people do only have to wait a couple of hours. But 4 days gave me a lot of down time to 1. worry and 2. think about my work. Things like, what have made my posts successful? What do I tend to forget? How much time am I wasting going back and editing my mistakes? I needed to refresh my mind on how to write the perfect blog post! Wasting time and mistakes was a big one. It’s not that I didn’t know that I needed an affiliate disclaimer, or that I should be adding deep linking (I’ll talk about these more in a bit). I just really am that person that needs a concrete list in front of me to make sure it’s getting done. Well now that I’m back to being ABLE to write, I decided it was the best time to actually make that list and use it, so that from here on out I’m not creating myself a mess that I need to go back and fix. What better way to implement that than writing a post about how to write the perfect blog post? So, what does a post need? I’ve decided to break it down, just like I did in my own list (with a bit more detail). First off, before anything, you need a traffic driving title! How do I know if my title is traffic driving? One major resource is my fellow bloggers! I’m in groups of bloggers (and you should be too!) and we share thoughts and opinions with each other. They are a huge help to turn to! Another is CoSchedule’s Free Headline Analyzer! This is such a great tool to be able to throw word combinations around and find what works best for your post! Alright, now you’ve got your title. Get writing! One thing you might notice about this post, is that my paragraphs are only 2 to 3 sentences long. There are two reasons for this (well maybe more, but these are my important reasons). One is that it keeps your readers attention. When they see globs of words, it can be overwhelming and will move on, rather than read your carefully written words. The other is for ad placement. Your last ad in your sidebar should be sticky, meaning that once you reach that ad it stays put and gets more viewing time. So, by writing shorter paragraphs, you are creating a longer post and that ad is viewed longer! I would have to say, the thing I miss most, is including my affiliate disclaimer! No good! That could easily lead to losing those affiliate programs. This could be typed in, or you can create an image and stick it in at the beginning of your post. Once you get to writing, and have posts that relate to each other, start deep linking. This means to refer back and link to relevant posts you’ve written before. This will keep your readers engaged in your site, and keep them from leaving after they’ve read the initial post. So you’ve finished your post? Make Google happy and get people to comment. How you ask? Prompt your readers at the end with a question, and don’t forget to engage with them when they do! Also, if you participate in blog hops or link ups, include a link to a post that includes all of the hops you participate in. Here are mine! Now that your writing is done, PROOF READ! Again it breaks up the reading and makes that post longer. This is one I can’t stress enough. You need an excellent Pinterest image! And it needs to be placed close to the top! Pinterest loves long images. For my image editing I like to use Canva. It’s free and has lots of pre-made image sizes. However, they have a Pinterest size and it is NOT good enough. One of the things I got done on “vacation” was going back and recreating my Pinterest images. So far I’ve found that using the custom size 735 x 1800 has been working best for me. An example of the success would be that, one of my very first posts was getting about 5 views a week. After changing the pin 2 weeks ago, I’m seeing 150-200 views a day from that single post! For your other images, always make sure you’re picking the very best. I like to then fit them into one of the sizes on Canva and, at least add my site name, if not also add a border. Can’t find an image that works, or is as nice as you’d like it to be? Check out Pixabay. This is another great free resource. They have TONS of free images that you can use. Do you have a mailing list, or an item for sale? Create banners and pop them in throughout your post to promote them as well! Now that you’ve got all that done, here are a few more things that you MUST do. 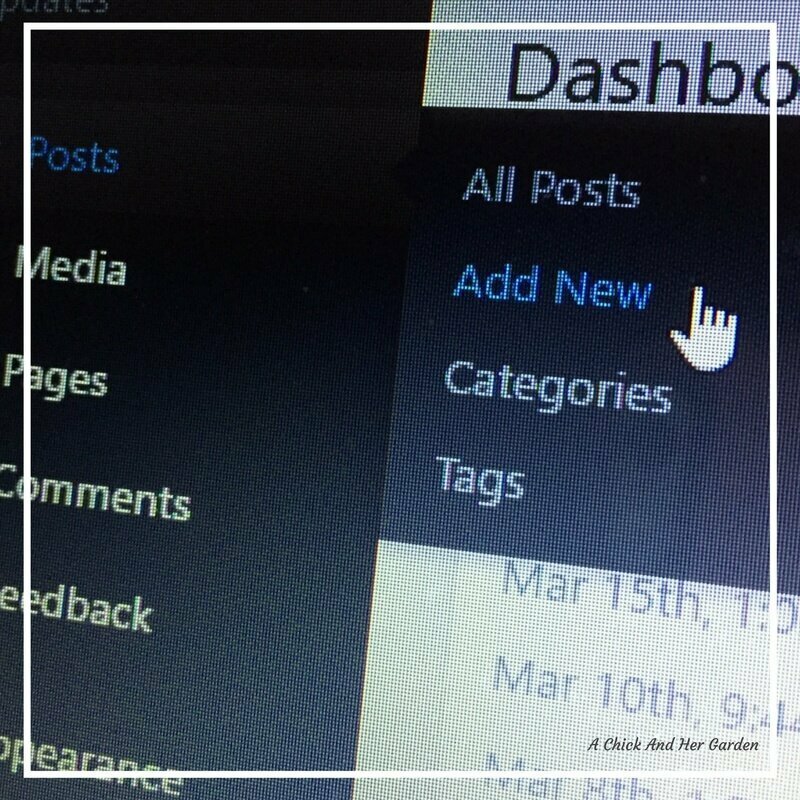 Assign categories and tags to your post. This links them together in groups to help your readers hop around your site if they’re looking for more info on a certain topic. If you’re writing a recipe, use a recipe plugin to put a printable version at the bottom of your post. One of my frustrations when I started, was that my social media accounts would also use whatever image they wanted when I shared. Not cool. Another great plugin, is Yoast. 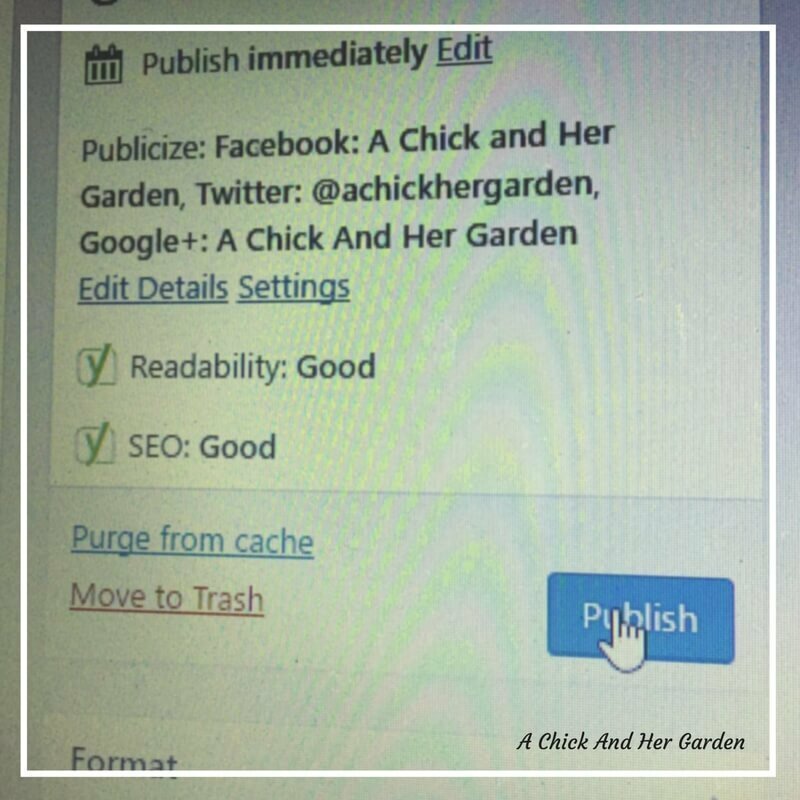 You can assign images for Facebook and Twitter and it also helps with that oh so fun SEO. One more thing before you hit that publish button! Proof read it again! I can’t even tell you how many times my mother, the grammar and punctuation freak (love you for it Mom), would text me as soon as I published a post and give me a list of typo’s. Thanks again Mom! Now all you need to do is get it out there! Share it! My primary social sharing is done on Facebook, Pinterest, Google+, Twitter and StumbleUpon. Check out Why Every Blogger NEEDS Tailwind for your Pinterest to grow and flourish! For awhile I was totally struggling with Facebook! After being totally sick of watching my pathetic traffic and my followers grow at a snails pace I cracked down and did some serious experiments! After I figured out a plan I managed to triple my page views in one week and double my followers in one month! Want in on the secret?? Check out my course Using Facebook To Grow Your Blog! Or, for even more tips, you can check out my other blog, Blogging Over Breakfast! I love it so much I have two!! OK, that was a lot! Need a checklist like me?? Subscribe here and grab mine on my free resource page! Is there anything you ALWAYS forget when writing your posts? Tell me about it in the comments so I don’t feel so alone! Thanks Dana! It’s such a great tool! This post is really helpful and so is your resources page! Thank you very much! I’m so glad it’s helpful! Happy blogging!